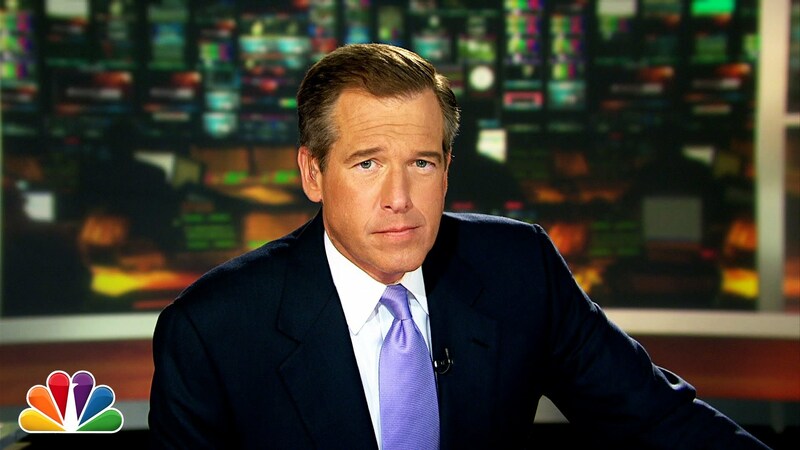 Perhaps it’s overdone, but I can’t help talking about Brian Williams for my first official Media Monday. After all, it isn’t everyday that a journalist is a top story for several days. Sure, we’ve seen scandal before. Notable plagiarism seems to happen all the time. Yet, this story seems to be something different. As a journalism student, the first thing I was taught was to stay out of the story. Personal attachment and involvement might inspire me, yes, but it was just as likely to make me a biased storyteller. Basically, any sort of conflict of interest like that would get in the way of the truth. We live in a world where journalists can be celebrities, however. In the world of TV news, anchors are just as much personality as they are journalists. There are times when this personality adds to a story and compels viewers to pay attention and learn. There are also times, however, when this personality takes away from a real, legitimate story. The problem with this, as we are seeing with Williams, is that when the journalist becomes the story there is no longer the separation needed to be credible. There are many, many theories about what caused Williams to, as he said, “misremember” and as many others about why he would lie or exaggerate the story. Though I am curious, as many are, of how this came to be, I am more curious about what this indicates. When you cover something traumatic, like war, it affects you. You can’t possibly stay out of the story completely. And your emotions and fears can creep into the story as well. I don’t necessarily think this is a bad thing. In fact, I love a bit of personal interest to draw me into hard, complex subjects like war. Still, if the story becomes about you, you have to be presenting it credibly, which is almost impossible to do. Anecdotes are important, but honesty and truthfulness are more so. A good story that isn’t true, is a fiction. I love fiction as much as the next person, but I should not hear it on the 10 o’clock news. In the land of the Internet, where everyone is entitled to write whatever they think and feel without any compulsion to be correct (much as I am doing now), the lines begin to blur between who is the story and who is the storyteller. I think that it’s hard to escape that mindset when you are competing with Twitter and Buzzfeed for readers/viewers/consumers of news. There is a lot more ethical grey area, which makes stories like Williams’s not so hard to imagine. The changing landscape of news has to affect us as journalists and readers alike, and we must always keep in mind who is the story and who is the storyteller and how to the two relate. This is a really interesting post and I like how you have referred to your background as a journalism student. You raise the important issue of what happens when journalists become the headline and I think that the case of Brian Williams is one to refer to when analysing the need for a story to be exaggerated. I recently wrote a post on a similar topic using the Christopher Jefferies case and how this had led to his involvement in the Leveson Inquiry. Please comment as I’d love to hear your views as a journalism student.